This Football (soccer) website has transfer news, match reviews, and much much more! 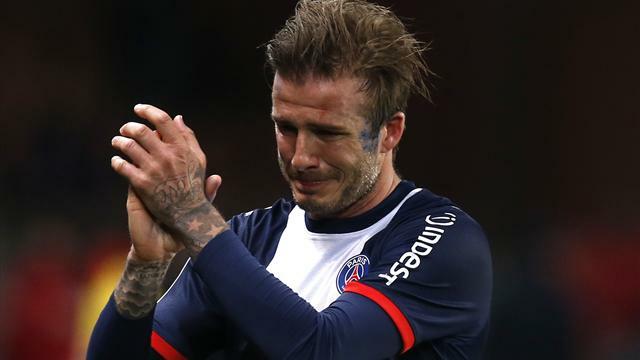 David Beckham cries as he applauds the audience in the last match of his career: a 3-1 win over Brest. Today there have been some exciting matches, so here are the scores. This entry was posted in Scores and tagged soccer, soccer scores. Bookmark the permalink.